Attracting over 7,600 delegates and attendees from more than 70 countries from across South East Asia and around the world, it is the industry’s premier conference and exhibition dedicated to the power generation, renewable and alternative energy and transmission & distribution industries. 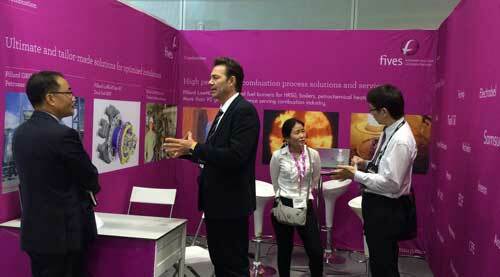 Located in Kuala Lumpur, Malaysia, this show was a new opportunity for Fives to present the latest technologies in Combustion such as Pillard NanoxFlam, Pillard InductFlam L, and also the Group’s capability to provide the Best Available Techniques, which attracted a lot of customers, prospects and potential partners. With this participation, Fives’ reputation as a potential supplier and partner in the Southeast Asia energy sector is growing.